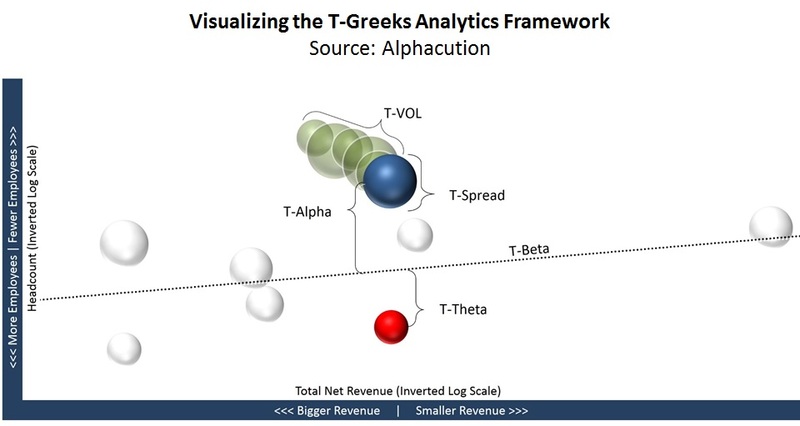 Alphacution’s T-Greeks framework has been designed to help financial institutions justify IT spending and ensure returns on IT investment. Boston, October 11, 2016 – A single global financial institution can spend hundreds of millions of dollars today just on IT, and estimating the collective IT spending trends of the financial services industry has become an essential part of any research and quite valuable to both financial institutions and vendors. More often than not, however, IT spending estimates do not provide anything in the way of actionable guidance. What matters most is what a firm receives for its investment in technology. Said differently, what is the return on technology, and is a firm receiving a “tech dividend” or paying a “tech debt”? Aite Group’s data and analytics partner, Alphacution Research Conservatory, is a new data and analytics firm that has developed a standardized data-driven framework that can measure a firm’s return on technology and calculate its tech dividend or tech debt. This report, co-authored by Alphacution's Paul Rowady and Aite Group's Sang Lee, introduces a new way of examining IT spending behavior within the financial services industry and has been developed leveraging Alphacution’s data and analysis related to IT spending behaviors and trends. This 31-page Impact Report contains 15 figures and three tables. Clients of Aite Group’s Institutional Securities & Investments service can download this report, the corresponding charts, and the Executive Impact Deck.